OWoN: Archduke Ferdinand here we go again. Nervousness, while Russia readies itself, just in case. Truly, the need to illustrate the point is a step that should not be occurring in a common sense world. 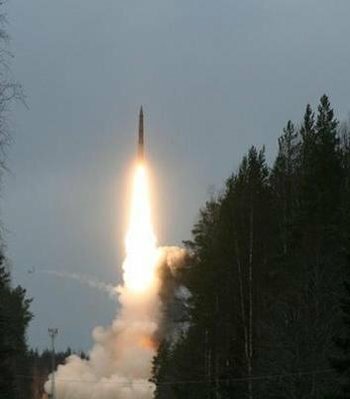 As reported earlier by the Barents Observer, the silo-based Topol-M intercontinental ballistic missile was launched from Plesetsk in Arkhangelsk Oblast. A few minutes later, the dummy nuclear warhead hits its target on the Kamchatka Peninsula in Russia’s far eastern corner, the Ministry of Defense reports. This took place after a close encounter on Friday, when Norwegian F-16s were scrambled from Bodø airbase for the second time this week as a group of four Tu-95 strategic bombers were approaching from the northeast, Norway’s TV2 reports. The bombers, flying out over the Barents Sea from Russia’s Kola Peninsula, were accompanied by four Il-78 tankers. On Wednesday, a similar group of four strategic bombers and four tanker aircrafts were flying southbound along Norway’s northern coast. Six of the aircrafts turned around and flew north again over the Norwegian- and Barents Seas before heading home to Russia. The two last flew all the way south to outside Portuguese airspace before heading north again. After scrambling fighter jets from Norway and Great Britian, NATO said in a statement that the Russian bombers pose a risk to civilian air traffic. “The bomber and tanker aircraft from Russia did not file flight plans or maintain radio contact with civilian air traffic control authorities and they were not using on-board transponders. This poses a potential risk to civil aviation as civilian air traffic control cannot detect these aircraft or ensure there is no interference with civilian air traffic,” NATO said. Tu-95 is a turboprop aircraft built during the Cold War to carry nuclear weapons and is because of its long range included in the strategic nuclear forces. And then there were the nuclear subs (of which one was supposedly lost somewhere near Stockholm only for the rumor to be quietly vaporized). The third arm of Russia’s nuclear triad, the submarine based ballistic missiles (SLBM), were tested on Wednesday, when “Yury Dolgoruky” launhced a Bulava missile from submerged position in the Barents Sea. 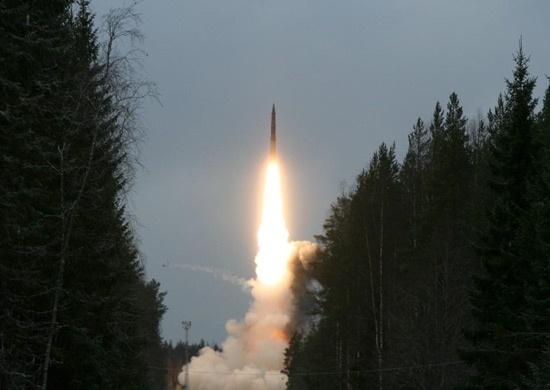 This was the first operational test launch of Bulava in line with the program of combat training. All previous launches were part of development testing of the new weapon. It is also the first time a Borey-class submarine had a full set of missiles on board when the launch was conducted. The Borey-class submarines carries 16 missiles that each may hold as many as 10 nuclear warheads. “Yury Dolgoruky” got her full set of Bulava missiles in June this year.